Height: 6 1/4", Diameter: 3 1/4", Handle Length: 3 1/2"
This sturdy hand bell is a solid brass bell with a New England hard wood handle. lt is highly polished and makes a beautiful, musical sound. 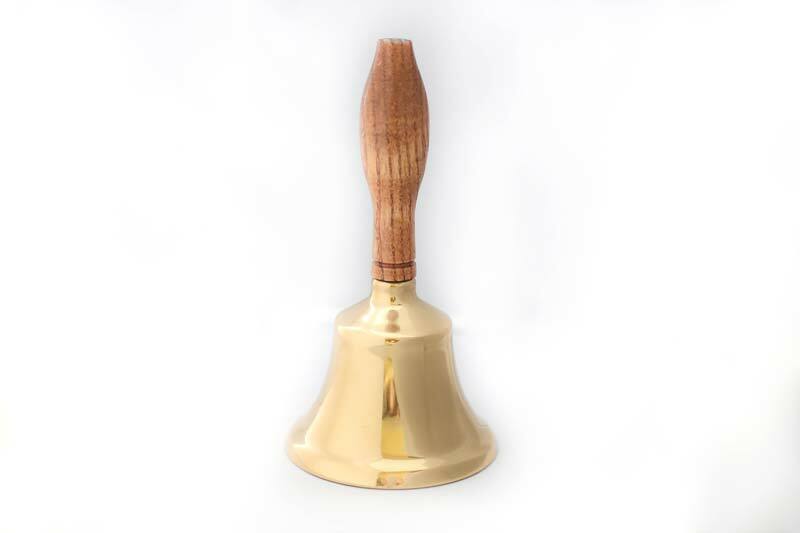 The timeless look of this hand bell is reminiscent of one room school houses and church choirs. Made in America!